This last Monday was Columbus Day, and I got the day off. 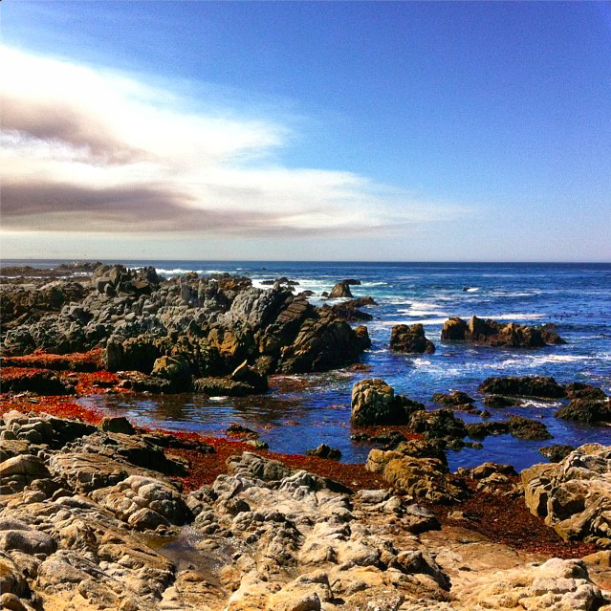 My family and I decided to take a little drive and enjoy the day in Pacific Grove. The weather was perfect. The traffic was easy. It seemed like everything was poised to be a banner day of relaxing, reconnecting, and recreating. There was just one little problem, which had the potential of becoming something much bigger. I hadn’t prepared myself to be present with my family as we enjoyed one of our favorite places in the world. I had believed that if I just get there, everything will be different, everything will change. I was looking for a magical fix. Joshua gave this direction to the people of Israel just before they crossed the Jordan river, leaving the wilderness and entering the promised land. The “amazing thing” was that the Jordan river would temporarily stop flowing so they could cross on dry ground like they did crossing the Red Sea. Joshua wanted the people to prepare themselves for this day, dedicating themselves to the Lord, so that their expectation would be in God and that they could full experience the wonder that was about to happen. My saving grace is an understanding wife. I don’t remember what she said or how she said it, but in a moment we came together and realized that the only time to experience this moment is now. Everything else can wait. The preparation only took a moment, and the rest of the day was fantastic. The most important part of the preparation was realizing that I had to practice at being present. It’s not automatic or magical, but a deliberate choosing to focus on who I was with and the beauty of the place I was at. In the end we did find relaxation, reconnection with one another, and recreation. Disaster narrowly averted. Lessoned learned. Thanks for listening. This entry was posted in Uncategorized and tagged grace, presence, simplicity on October 18, 2013 by Brook Fonceca.